Small system? Big convenience. Highest yields! 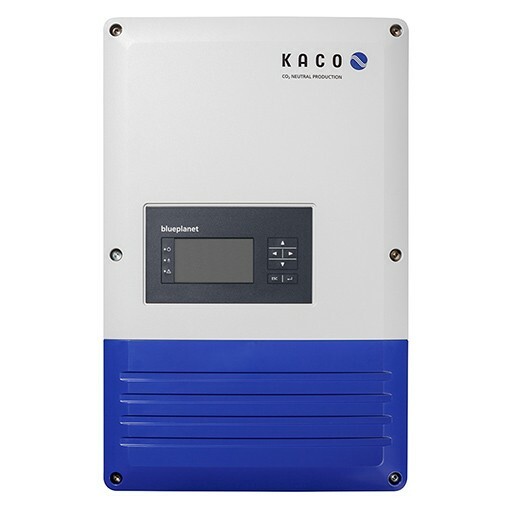 With a line-up of 1-phase, transformerless units, KACO new energy will be inaugurating the new "blueplanet" solar PV inverter series. Newly developed, and, constructed from scratch, the blueplanet TL1 fulfil each and every requirement expected of modern solar PV inverters for use in residential PV systems: they are light and can be installed quickly; all essential technical features are included in the price; reliable operation and yields are guaranteed. A wide voltage range allows for a multitude of string designs. Having 2 MPP trackers, which can each process the whole AC power, system layout is now a breeze. If you want to use your self-generated solar power in your own home, the blueplanet TL1 also come with our Priwatt function for managing self-use. Anything less would be a thing of the past!